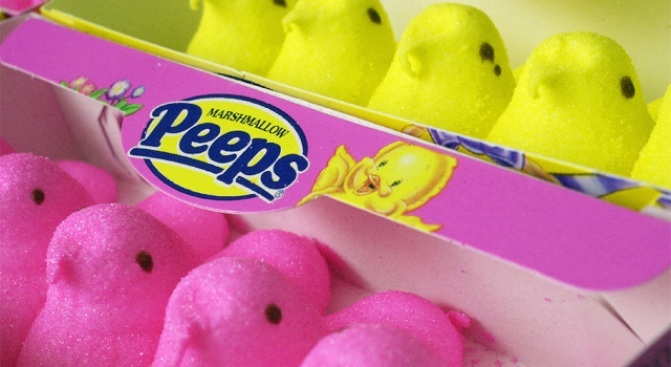 Matthew Beals' incisive marshmallow-chick documentary 'The Power of the Peep' is on the menu at the NYC Food Film Fest. The 3rd Annual NYC Food Film Fest -- unfolding from June 13 through 19 at the Astor Center and the Water Taxi Beaches of Long Island City and the South Street Seaport -- is an epic thing: 7 days, 25 films, and 15 recipes and foods pulled straight from the screen and served up (most of them free!) to hungry festival-goers, from ribeye cheesesteaks to the famous timpano turned out by Primo and Segundo in Big Night, one of the greatest food films of all time. (Take a peek at our video about the festival here.) If you can't gorge on the festival's full offerings, here -- from the NYCFFF organizers -- is our takeaway selection. A portrait of a Mississippi catfish joint, Taylor Grocery. A fascinating look behind the scenes at how New York City is fed. Features footage from Hunts Point Market and a truffle purchase by Daniel Boulud that resembles a drug deal. For more information about the screenings, tastings and other events of the 3rd Annual NYC Food Film Festival, head to the website: nycfoodfilmfestival.com.